The sale of cartoon characters created by professional designers for use in comic strips, television shows, and films is a common feature of Japan's animation industry. 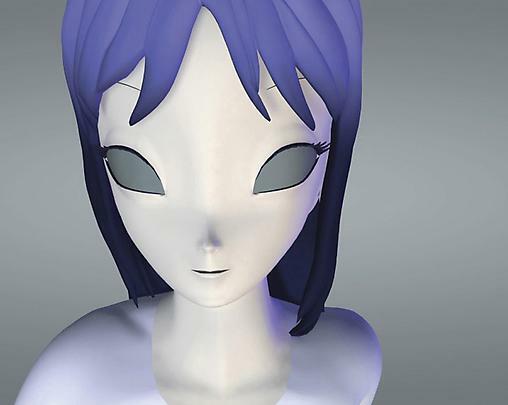 French artists Pierre Huyghe and Phillipe Parreno purchased such a cartoon—the figure of a young girl—for use in their own work, thereby giving this ready made character a new life within a specifically fine art context. In this exhibition, Huyghe presented a short, animated film that resulted from this purchase. A meditation on the fragile boundary between reality and representation, No Ghost just a Shell "Two minutes out of Time" features a monologue, delivered by the cartoon girl, on her condition as a "virtual" image.